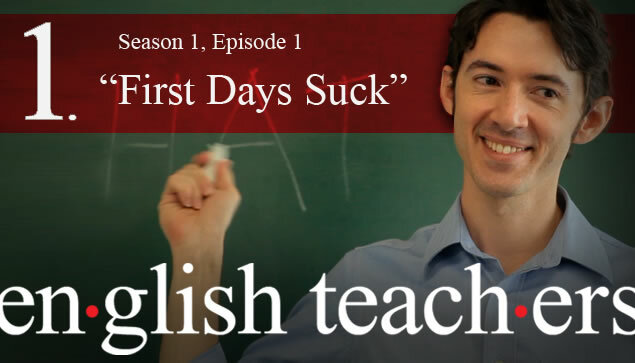 English Teachers – the series, is a fictional webseries about the lives of English teachers in a language school in Japan. The first episode aired in September 2010. It is directed and produced by Anthony Gilmore who teaches English part-time at the Nagoya University of Foreign Studies in Japan and has also worked at language schools in Japan and South Korea. Note: although the first season is still online, the series appears to have been abandoned now. Billed as part comedy, part drama, part documentary, the series follows the fortunes of several teachers and the Yes! School of English in Japan. Tom Kellerman is a new arrival and wants to provide quality lessons to his students, but in the end it may be the school that provides lessons in life for him. The background to the story was inspired by the bankruptcy of Nova and Geos (and also smaller schools) when a well-financed school moves into the community and they lose a lot of their students.